While recovering, from an auto accident, Day started to sing along with the radio and discovered a talent that she didn't know she had. Day said: "During this long, boring period, I used to while away a lot of time listening to the radio, sometimes singing along with the likes of Benny Goodman, Duke Ellington, Tommy Dorsey and Glenn Miller. But the one radio voice I listened to above others belonged to Ella Fitzgerald. There was a quality to her voice that fascinated me, and I'd sing along with her, trying to catch the subtle ways she shaded her voice, the casual yet clean way she sang the words." Observing her daughter rekindled Alma's interest in show business, and she decided to give Doris singing lessons. She engaged a teacher, Grace Raine. After three lessons, Raine told Alma that Doris had "tremendous potential", which led Alma to give her daughter three lessons a week for the price of one. Years later, Day said that Raine had the biggest effect on her singing style and career. During the eight months of singing lessons, Day had her first professional jobs as a vocalist, in the WLW radio program Carlin's Carnival, and in a local restaurant, Charlie Yee's Shanghai Inn. It was during her radio performances that Day first caught the attention of Barney Rapp, who sought a girl vocalist and asked if Day would like to audition for the job. According to Rapp, he had auditioned about 200 singers when Day got the job. 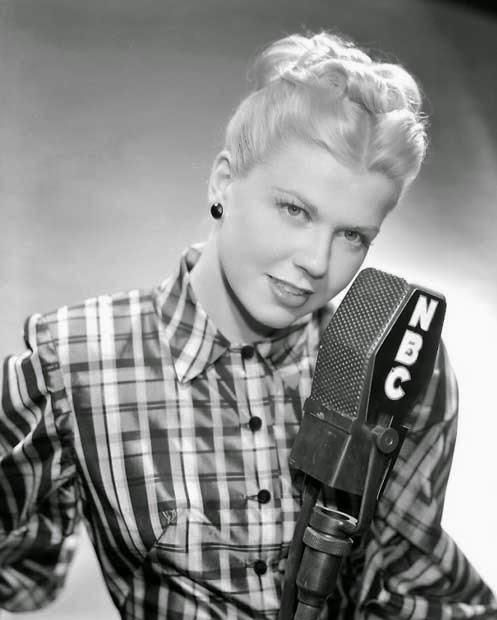 The Doris Day RADIO Show premiered over CBS radio in a 25-minute format on Friday, March 28th 1952. Doris made her first solo outing in a radio series a family affair. Drawing on the many artists and friends that had helped her during her meteoric rise to stardom, The Doris Day Show's guests for her premiere program were Danny Thomas, her co-star from I'll See You In My Dreams (1952) and Mrs. Gus Kahn, the wife of prolific songwriter Gus Kahn. I'll See You In My Dreams was based on the life of Gus Kahn and his wife Grace. Danny Thomas had portrayed Gus Kahn and Doris Day portrayed Grace Kahn.